Simple, Easy and Very Efficient! 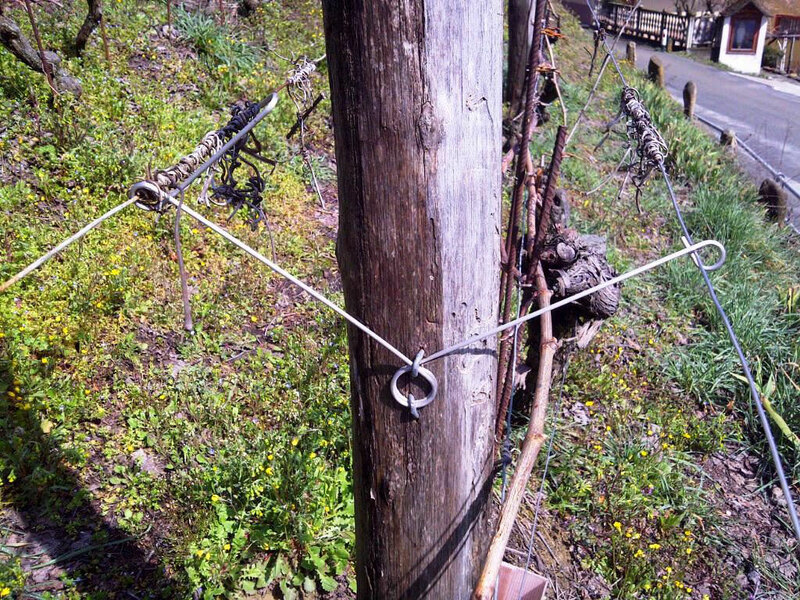 85 / 90 % of the Vine-Shoots grow up automatically inside the Two Wires! 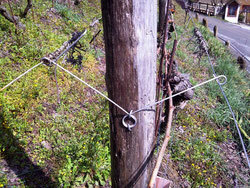 Save time and money and stay with your family while the old Winegrower's Mentality is still working! 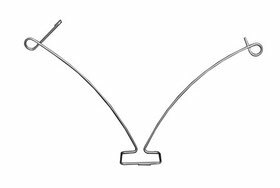 How can the spacer be so efficient to pick up the vegetation? How can I calculate my ROI? (return on investment)? Why Should I invest money to buy a new equipment? These are the classic questions that need an answers. 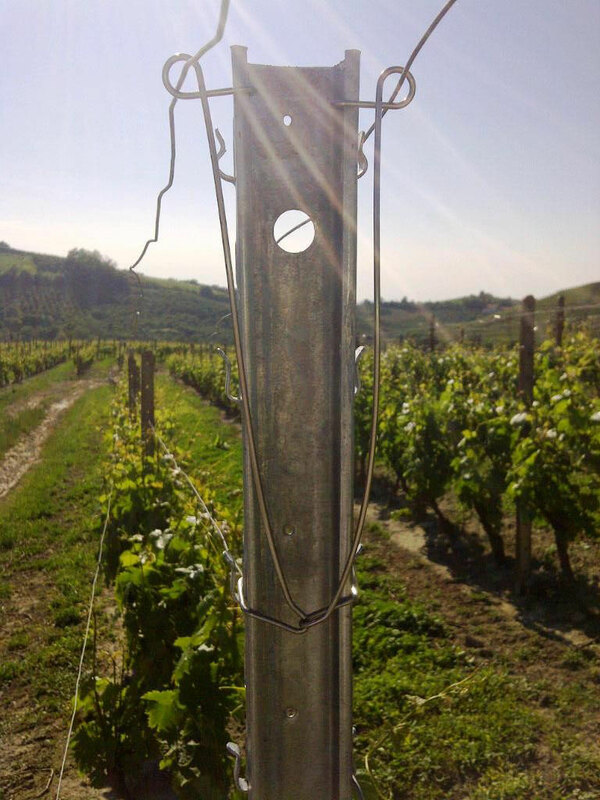 For this reason together with its Vineyard Specialists, Accessories for Vineyards has calculated all the benefits of the springs in 5 years. Are available technical sheets which can attest your saving money starting from the 2th year! Just ask to our commercial office all the information that you need! It will be our pleasure to explain to you! 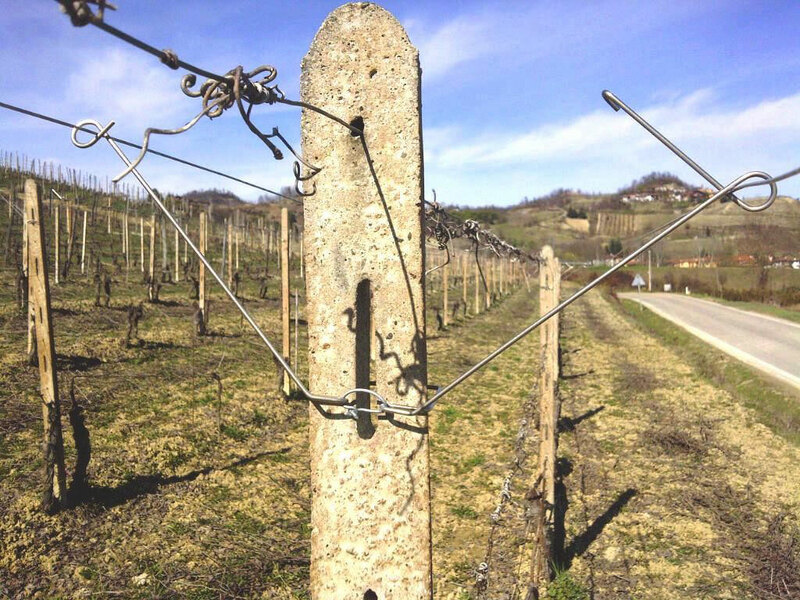 · Better and gradual exposition of the vines to the sun. SPRING SPREADERS INSTALLATION - WHATCH THE VIDEO! The mounting operation is very easy! 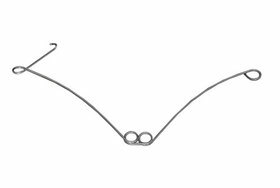 As you can see in the following pictures the spacer spring with self locking system can be manufactured for any type of pole (round section, square section, triangular section). 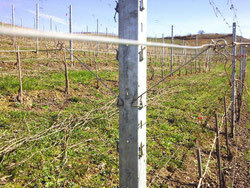 The specially designed mechanical spacer is attached to the pole before the vines start to grow. 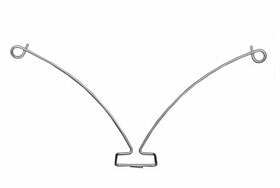 Thanks to this self securing system, once you have crossed the arms by hands, the spacer fits tightly to the post assuring an excellent gripping ability. 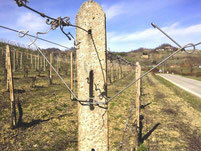 All the spacers with self securing system wrap around the shape of the posts locking itself in a fixed postition. Once installed they do not slide down. The iron Wires are then inserted in the buttonholes. 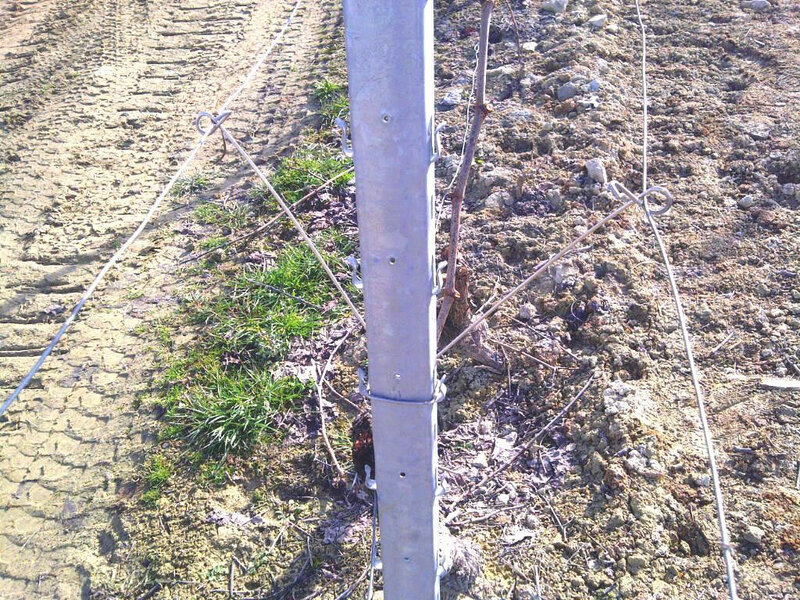 When in the month of May the vegetation starts growing, thanks to the large distance between the two wires (45 cm), 85-90% of the vines grow automatically inside the two wires. 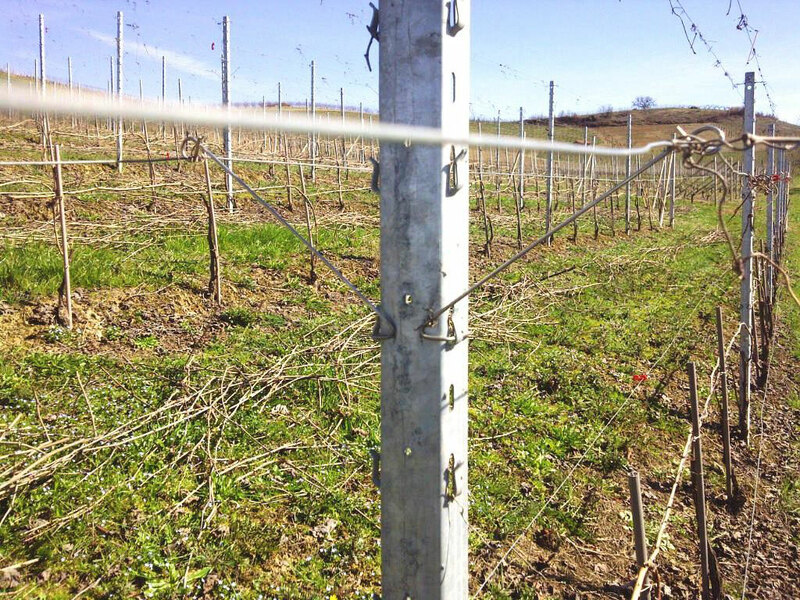 Once the vines have grown up, it is a quick and easy job that of closing the wires using the spacers on each post. Spring Spreader for Wood Post. 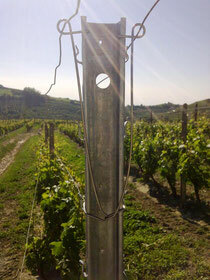 Easy to be mounted, economical, suitable for every kind of Wooden Post round section from diameter 80 cm to 140 cm. It can be fixed by nails / staples. 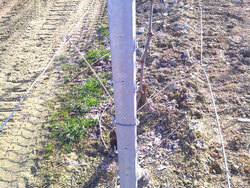 Spring Spreader for Wooden Post with Fastened Hoook. 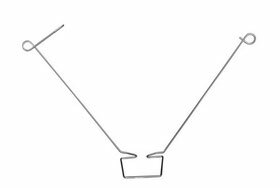 Spring Spreader with / without Fastaned Hook for Concrete Post. 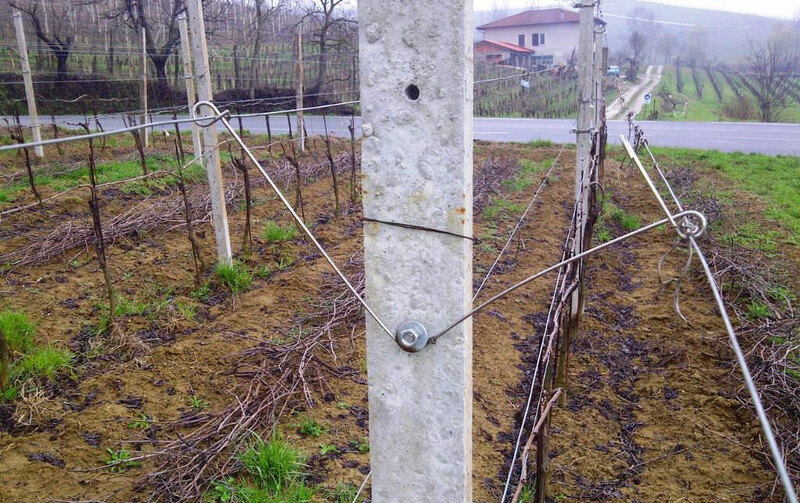 Think kind of economic spacer allows an efficient canopy managment for concrete posts.Included our fastener hook, it does slide down assuring an excellent gripping to the post. 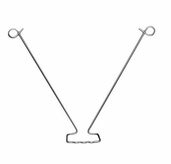 Spring Spreader with / without Fastaned Hook for Perforated Concrete Post.Included our fastener hook, it is suitable for perforated concrete post, it does not slide down thanks to the anti-overturning hooks. 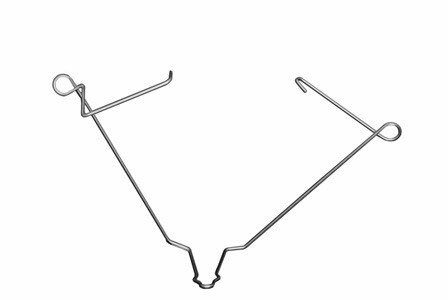 Spring Spreader for Concrete perforated Post with bolt of lock. Specific for this kind of Vineyard Post, this spring can be closed thanks to its hook at the rear. It can be made with wiithout self securing system. 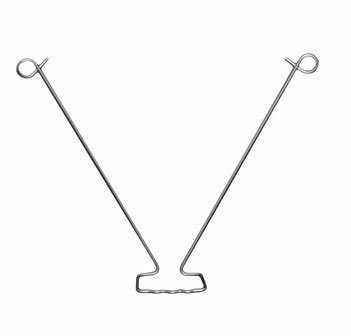 Spring Spreader for Metal Post with double Fastened Hook located. 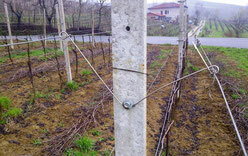 This specific spring allows an independent vines growing.The canopy can be managed separately thanks to the double Hooks. Spring Spreader for Metal Post with arched stems and Fastened hook. 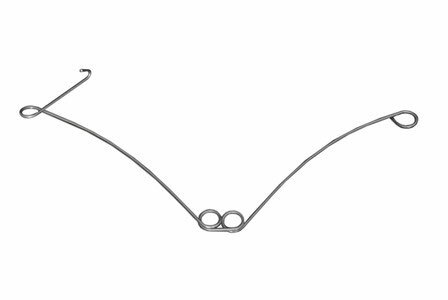 Easy to be installed, once you have inserted the double wires throught the eylets, this sprIng can be closed thanks to its rear ben. It can be made with / without self securing system. 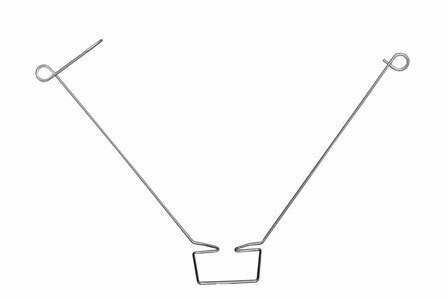 Spring Spreader for Metal Post with arched stems without Fastened hook. 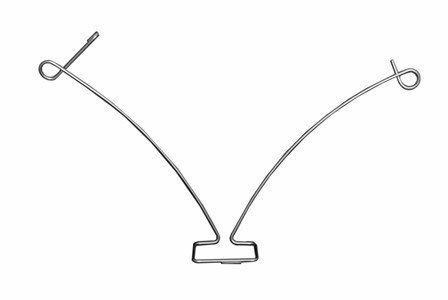 Easy to be installed, this spring can be closed direclty to the slot of the Metal Post. 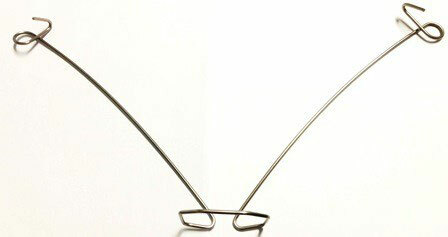 Thanks to its shape, once closed, it remains inside the Metal Post Shape. 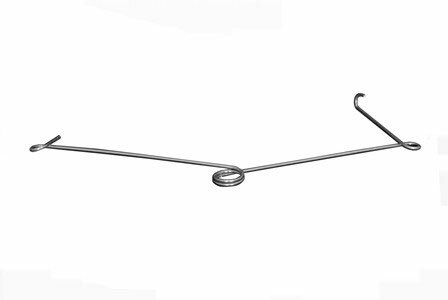 Spring for Metal poles with without Fastened hook. Easy to be installed, economic, once you have inserted the double wires throught the elyets, this spring can be closed direclty to the slot of the Metal Post.